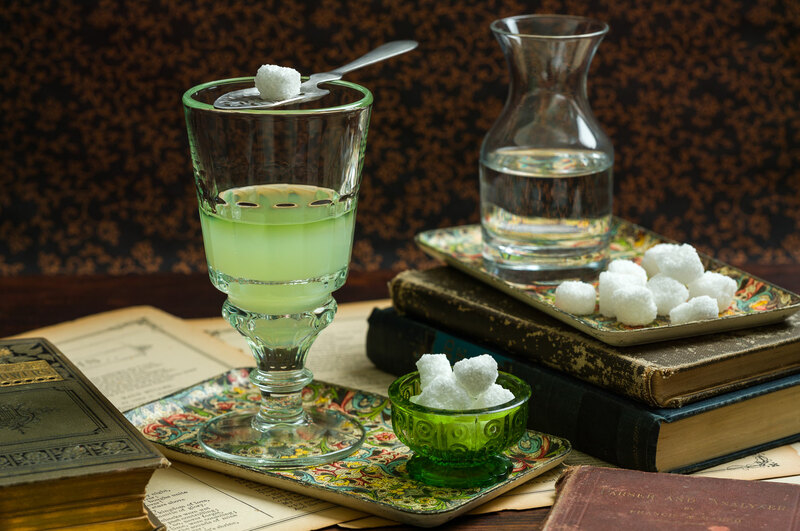 Absinthe still life with spoon and sugar cubes. Drink Photographer, New York, NY, New Jersey, Philadelphia, PA - Drink Photography by Paul S. Bartholomew. Drink styling by Paul Bartholomew.